Choose the correct adjectives. and pracise writing prices. I hope you find it useful. Thanks. The present downloadable teaching material was created for high school students and adults at Pre-intermediate (A2) and Intermediate (B1) level. 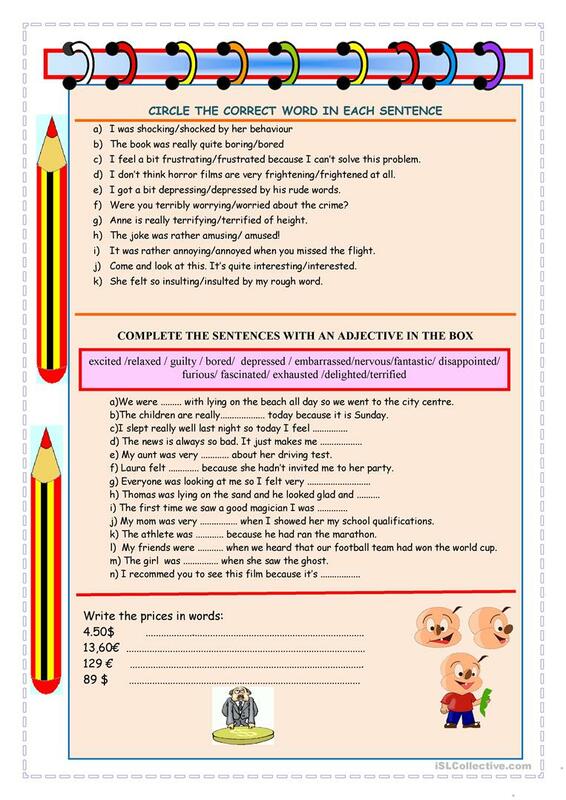 It is aimed at practising Adjectives in English, and is a valuable material for developing your class' Writing skills.